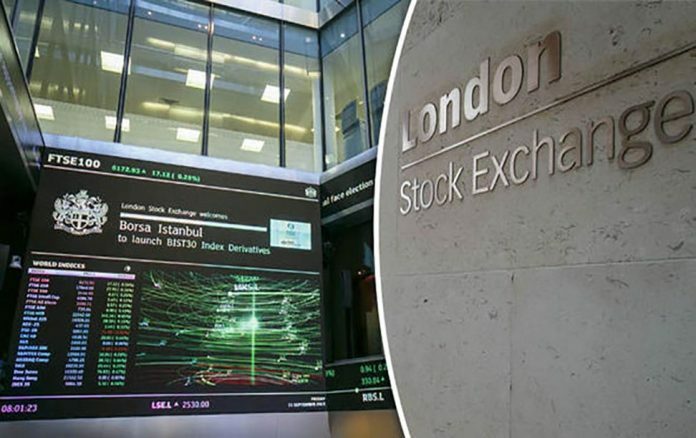 London, Feb 6: Europe's stock markets struggled Wednesday, as investors digested downbeat German economic data and shrugged off gains in Asia and the US. Frankfurt dropped 0.6 percent as official figures showed that industrial orders in Germany fell back in December, the latest sign of a slowdown in Europe's largest economy. The news also sent the European single currency diving to $1.1380 — the lowest level since January 25. Paris equities meanwhile slid 0.3 percent. Outside of the eurozone, London stocks shed 0.1 percent, with online supermarket Ocado tumbling after a warehouse fire. “European equities are on the back foot after a surprise drop in German factory orders this morning added to signs that the region's strongest economy is struggling,” said Oanda analyst Dean Popplewell. German factory orders were down 1.6 percent month-on-month, federal statistics authority Destatis said. However, there was some brighter news in the data as well. Excluding volatile large orders for items like aircraft there was a 3.5 percent increase in new business. But it was not sufficient to drive Frankfurt stocks into positive territory. “This recent phenomenon of a stuttering Germany is certainly more of a worry for eurozone growth. “With Brexit uncertainty and US-led trade friction, this decrease in factory orders highlights the weaker demand” often associated with significant upheaval and uncertainty, Mahony said. In Asia, Tokyo and Sydney shares rose in another holiday-thinned trading day as investors tracked a positive lead from Wall Street. With most of Asia off for the Lunar New Year break there were few catalysts to drive business. There was little movement after US President Donald Trump's annual State of the Union address.